Luka Modric ended the duopoly of Lionel Messi and Cristiano Ronaldo winning the Ballon d'Or, but neither of his predecessors showed up to see him crowned and the Real Madrid man has spoken out. 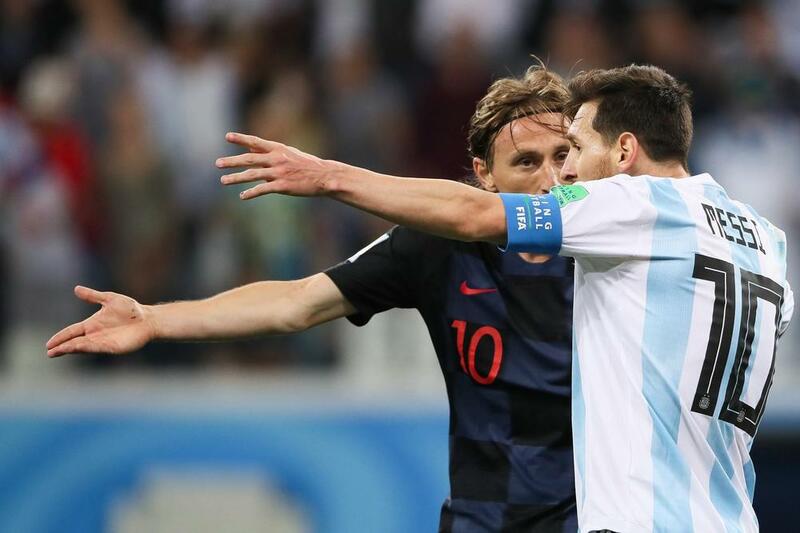 Luka Modric has hit out at Lionel Messi and Cristiano Ronaldo for skipping the Ballon d’Or gala, with the 2018 winner suggesting the iconic figures only care about personal recognition. After a decade of dominance by Argentine and Portuguese superstars, the prestigious Golden Ball is now in new hands. Real Madrid midfielder Modric has seen his efforts recognized, with a memorable year seeing him reach the World Cup final with Croatia and claim the FIFA Best Award. The Croatia international has been hailed for ending the duopoly of Messi and Ronaldo, but a former Blancos team-mate and Barcelona rival were not on hand to see his latest coronation. Pressed by Sportske Novosti for his take on the award snub, Modric said: “I cannot say why someone did not attend – that’s their choice. “That is logical, is it not? "It turns out these choices and trophies only have value when they get them. “It is not fair to their playing colleagues, or to the voters who have nominated them for the past 10 years – nor for football or supporters. While pleased to have seen his efforts in 2018 acknowledged, Modric concedes that he is not the best player on the planet. He is, however, eager to point out that prizes such as the Ballon d’Or are distributed to those who have impressed over the course of a 12-month period, not their career as a whole. The 33-year-old added: “Here we are talking about seasonal performance, and it probably means that all the coaches, players, football legends and journalists have voted the same. “Or are they all mistaken at the same time? Having already helped himself to an enviable haul of individual honours this year, to go with the Champions League crown he collected with Madrid last season, Modric is now looking to wrap up 2018 by helping the Blancos to a third successive Club World Cup triumph.